On March 02 in Apple event, there was two major announcement made by the company – first one was launch of most anticipated next generation iPad 2 and iOS 4.3 to make iOS devices more powerful than ever. It seems the most advanced mobile operating system just got better with new features that makes you to do even more with your iPhone, iPad, and iPod Touch. iOS 4.3 is backed up with some powerful features such as Airplay enhancements, speedy surfing in Safari browsers, iTunes Home Sharing, personal hotspot for iPhone 4 and much more. The most talked about feature of the town in iOS 4.3 is iTunes Home Sharing that allows you to play your iTunes library from your Mac or PC on your iPhone, iPad or iPod Touch over a shared Wi-Fi. iTunes Home Sharing is not only limited to music – you can watch a TV or movie show, play a podcast, listen to an audiobook, play with your photos on whichever iOS device you want without having to download any app or syncing with any cables. If you want to enjoy the latest feature, I am sharing a complete tutorial on How to enable iTunes Home Sharing feature in iOS 4.3 for iPhone, iPad and iPod Touch. 1. Download latest iTunes 10.2 or update it to the latest version if you already have. 2. After installing the latest iTunes 10.2 software, go to iTunes preferences and click on “Sharing” option. 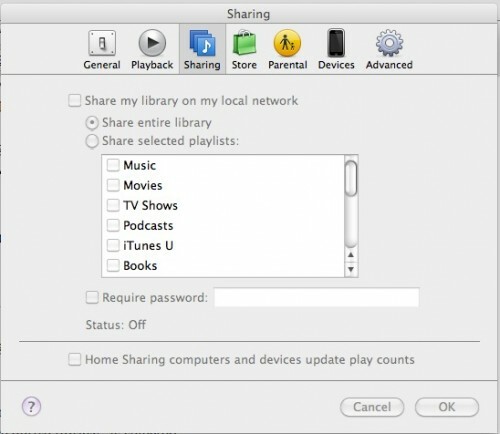 Check that you enabled “Share my library on my local network” option by ticking on checkbox next to it. You can also choose to share your iTunes library or any particular one you want by clicking “Share entine library” or by choosing your favorite ones by clicking on “Share selected playlists”. 3. 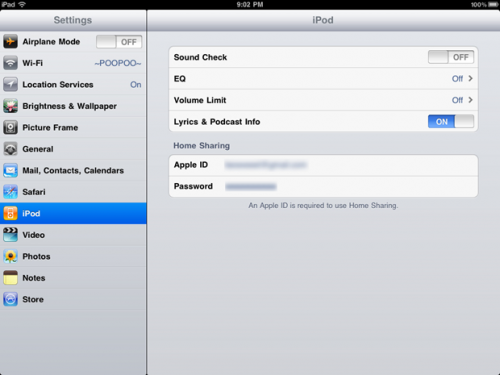 In previous option, you have enabled your iTunes library settings and what you have to share on your iOS devices. Now, let’s enable iTunes Home Sharing feature by clicking on “Advanced” menu option in iTunes. Click on “Turn on Home Sharing” option in “Advanced” menu option. It will prompt you to enter your Apple ID and password, just make sure you are entering the same ID that you are using in iOS devices. You have just setup Home Sharing on your computer, now its time to set up your iOS device to sync with your iTunes account. Though iOS devices are different, but follow the same procedure for iPhone, iPad or iPod Touch. 1. Go to “Settings” on your iOS device and select “iPod settings”. Now, enter the same Apple ID and password that you have entered in your iTunes preferences to enable Home Sharing feature. 2. That’s it, you are done. 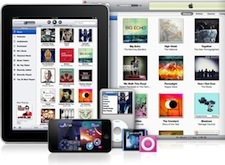 You have just enabled iTunes Home Sharing feature on your iOS devices running latest iOS 4.3. 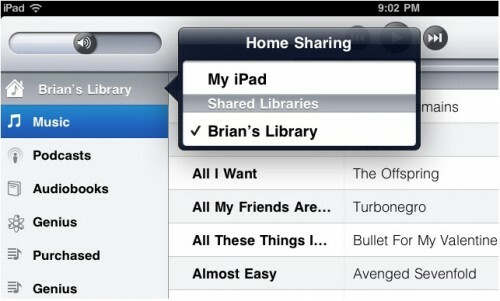 Now, open your photos app, iPod app or the the videos to see all the shared stuff from your iTunes. 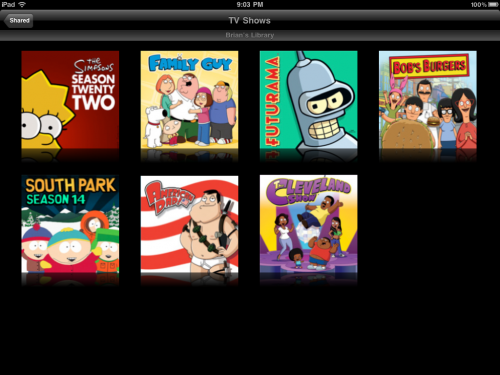 Enjoy all your music, TV shows, videos and photos on your iOS device without downloading any software or data.